The exterior of the homes at The Village at West Gloucester has been carefully detailed by our Project Architects, in the traditional “Shingle Style” of architecture, a style common in the coastal areas of New England. The Village proudly shares this architectural heritage with some of the finest homes on Cape Ann. Such detailing includes gabled dormers, shake-shingle vinyl siding, carriage-house motif garage doors, divided-light upper window sashes, transom windows, elegant columned entries, and architectural roofing shingles. Front porches are standard, rear screened porches and sun rooms are standard on some homes. 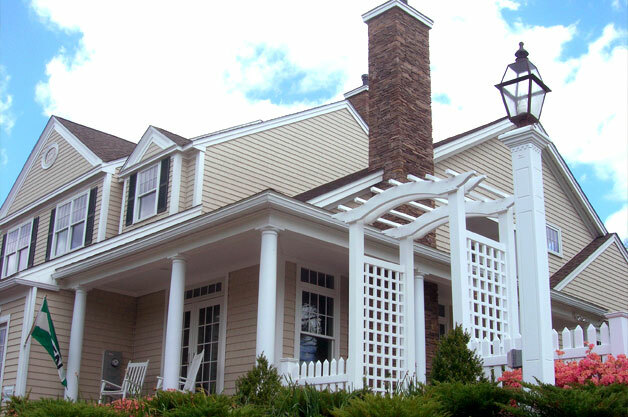 All of the exterior maintenance of your home will be managed by The Village at West Gloucester Condominium Trust.